Oh Man, how lucky am I???? Check out what I just brought home to the studio! This was on Craigs List, and my AWESOME Brother-in-Law muscled it into the truck for me this morning, and then he and our fabulous neighbors wrestled it into the studio. This baby is BIG (46″ wide, 36″ tall and 30″ deep), and weighs approximately 900,000 pounds. OK, maybe it’s not THAT heavy, but it’s Heavy, as Chuck and Nathan will attest. Thank god for Big Strong Men!!! 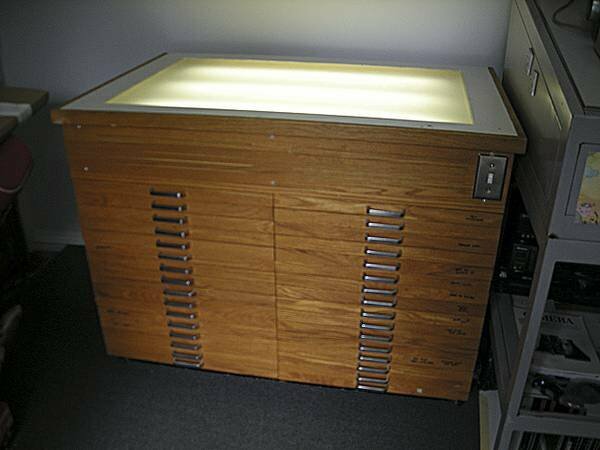 The top, as you can see, is a Light Table, and the base has 32 thin drawers, which will be PERFECT for watercolor paper, collage paper, maybe even my brushes. So other than tracing, what do you see yourself using the light table for? I love all the drawers. No other use that I can think of than tracing. I anticipate that I’ll trace different bits of a painting onto different pieces of really sheer paper, and be able to move the bits about to determine the best composition. 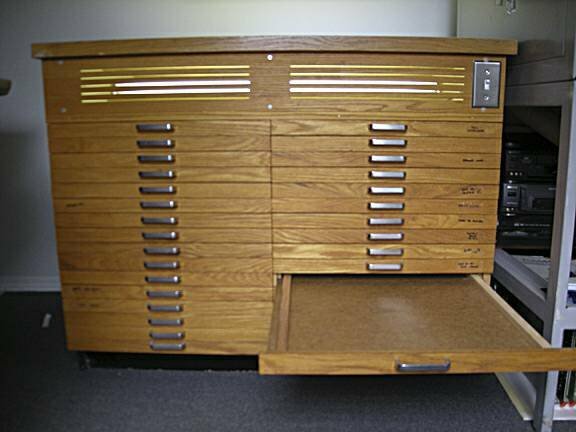 And YES, aren’t the drawers awesome? I’ll be tearing up some of my books now and putting the sheets into these drawers to free up some Shelf Space. Reading this post is making me giggle. I can feel your energy, and how thrilled you are with your new purchase. Congrats!!!!!! I bet your creative juices are overflowing right now!!!! Seriously, it’s ridiculous how pleased I am with this piece. I just finished putting all THIRTY SIX drawers back into place, and now I’m going to PUT SOME PAPERS IN THE DRAWERS!!! Jeeze, easy to please much?? Perfect! Yes, well scored, Cher!